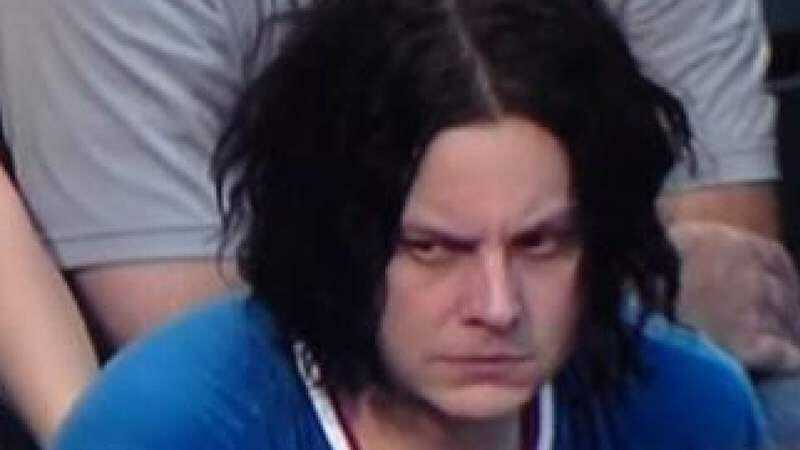 Sad Jack White is not amused. Twitter will teach you a lot of things. For instance, that you’re not the first person to think of that “hilarious” joke you thought you invented. Third Man Records, the label owned by Jack White, is particularly aware of this—or, at least, is aware that a ton of people have made the same joke about why Jacks White and Black haven’t combined their forces to become Jack Gray. (Har har.) This afternoon, the label retweeted 55 different people who have made the joke since 2012, and those are just the ones who actually like the gag enough to tweet it. Countless other dads and duds have surely made the hamfisted connection, as evidenced by the popularity of the sentiment in the ShowerThoughts Subreddit. There’s even a graphic that’s been meme-styled and passed around online. God help us all. Is it funny there’s a celebrity named Jack Black & one named Jack White? am I too tired? should they form a rock duo & call it Jack Grey? Jack White et Jack Black ont eu un fils. Il s’appelle Jack Grey. Merci à vous! C’est tout pour moi.